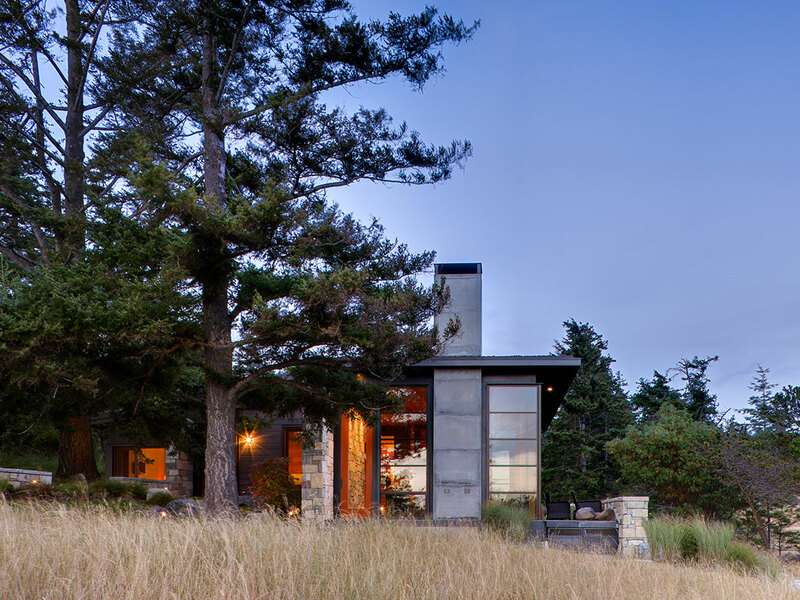 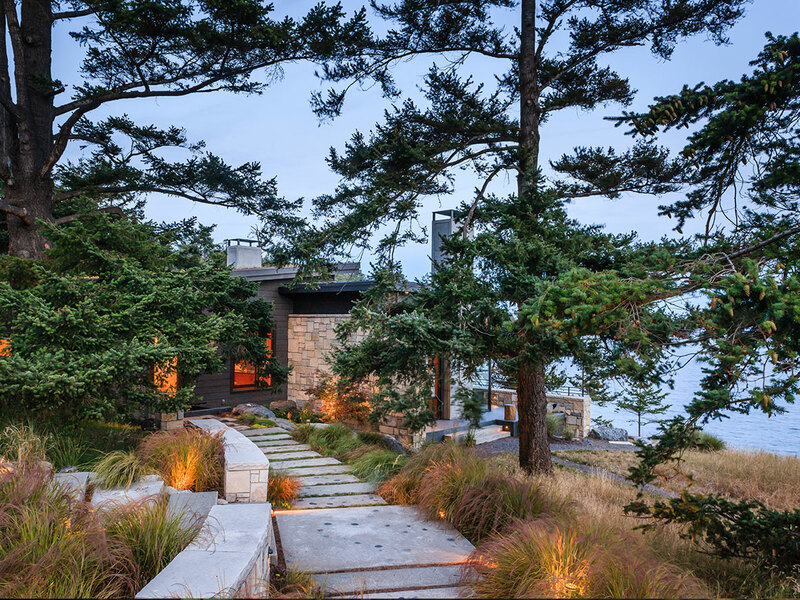 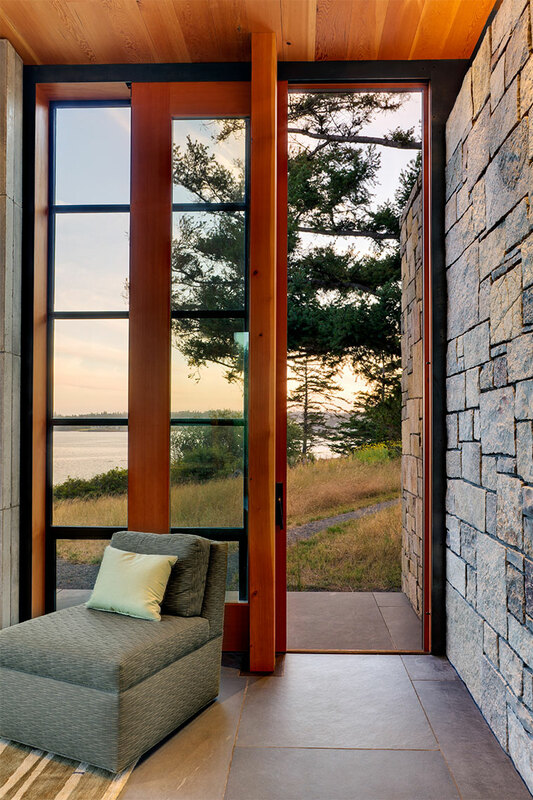 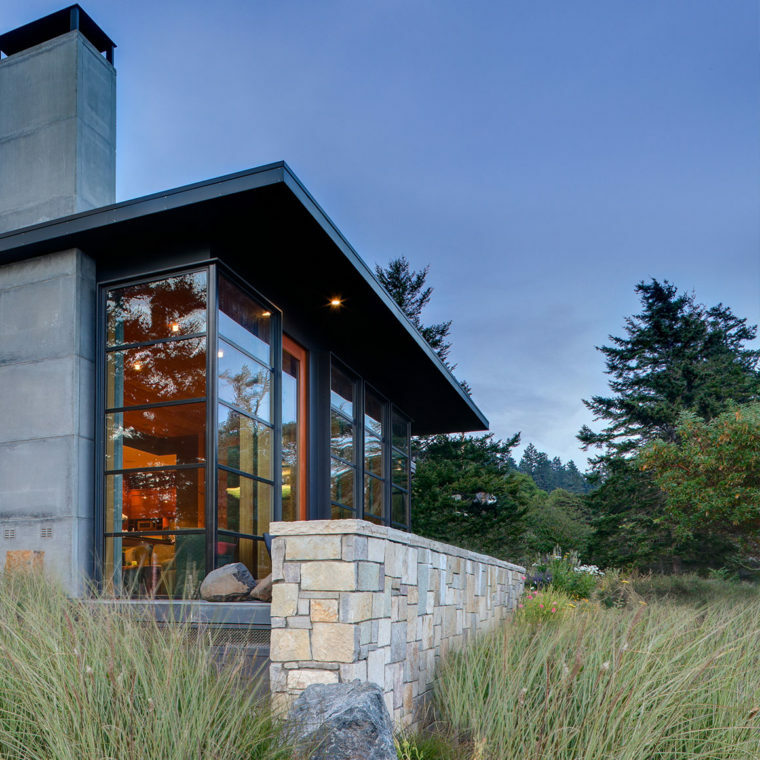 Green roofs are becoming a standard in new construction in the San Juans and this private residence is no exception. 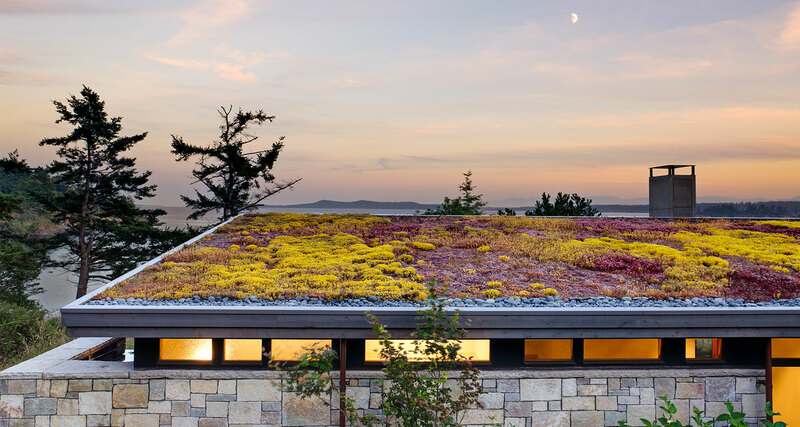 The project takes advantage of the shed roofs on the house and detached garage to incorporate three separate extensive loose-laid green roofs. 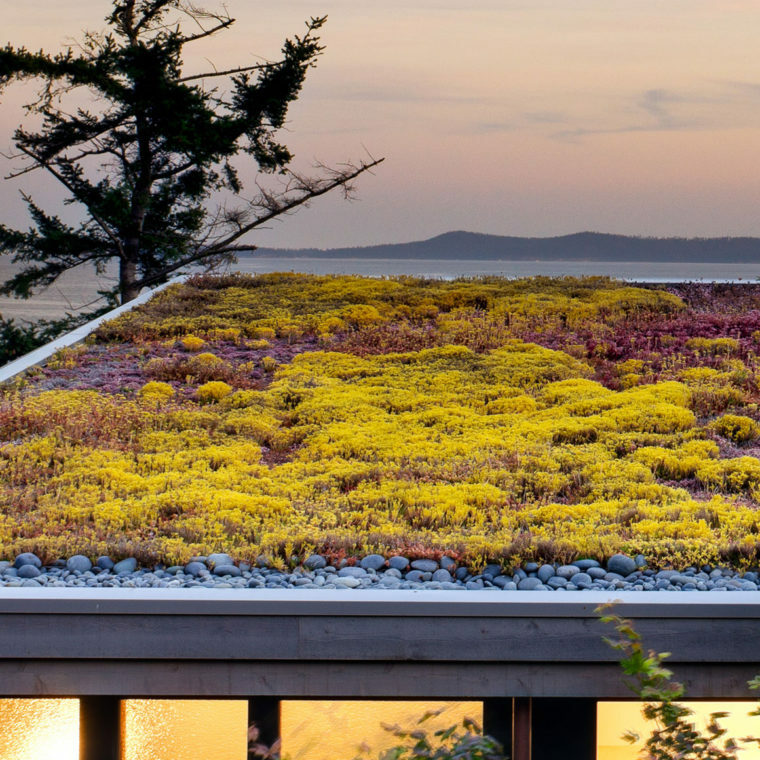 With four inches of soil and a mix of five sedum species, the roofs provide a aesthetic connection between the buildings and the rocky landscape of the islands.